Objective: Epilepsy is one on of the commonest neurological problem seen in neurology and the ultimate aim is to manage the fits. Despite giving various medicines, fits are not controlled in some patients. This study has been carried out to define various factors which account for poor control of fits in these patients. These include incorrect diagnosis of epilepsy, under dosage, improper selection of the drugs, noncompliance of the patient, lack of education, etc. If proper emphasis were given to all these factors while treating the patient of epilepsy, fits can be effectively controlled in the majority of the patients. Material and Methods: It was a retrospective and prospective study. The duration of study was six months from 1st January to 31st Dec 2016. The study has been carried in the department of neurology, Gujranwala medical college/DHQ teaching hospital Gujranwala. Results: A total number of hundred patients were entered into the study. This was a heterogeneous group according to gender and age. There were a total of 62 (62%) males, and 38 (38%) females. Out of total 100 patients, 86 had idiopathic epilepsy which constitutes 86% of total patients. Four (4%) had fits following meningitis. There were no patients with a history of fits following trauma. There were four (4%) patients who had a brain tumor. Conclusion: It is concluded from our study that: Idiopathic Epilepsy is the commonest among etiology of fits almost (86%). Tonic clonic generalized epilepsy is the commonest type of presentation for Epilepsy (76%). The control of seizures can be improved by education/councelling of the patients. NHLRC1 genes. Hum Mutat. 2009 May; 30 (5): 715-23. Doi: 10.1002/humu.20954. Review. 13. Elisa Baldin, W. Allen Hauser, Jeffery R. Buchhalter, Dale C. Hesdorffer, and Ruth Ottma: Yield of epileptiform EEG abnormalities in incident unprovoked seizures: a population-based study. Epilepsia. 2014 Sep; 55 (9): 1389-1398. 14. P K Myint, EF A Staufenber, and K Sabanathan. Post stroke seizure and post‐stroke epilepsy. Postgrad Med J. 2006 Sep; 82 (971): 568–572. 15. Epileptic seizures after subarachnoid Hemorrhage. Hassab D, Schonck RS, Avezaat CJ, Tanghe HL Van-Gijn-J, Ann-Neurol. 1993 Mar; 33 (3): 286-91. 16. Epileptic seizures following cerebrovascular complications; Milander L, Breca P, GabrielB, Khalil R. Ann-Med- interne Paris, 1993; 144 (1): 28-3. 17. Rossetti AO, Stupp R. Epilepsy in brain tumor patients. Curr. Opin. Neurol. 2010; 23: 603–609. 18. 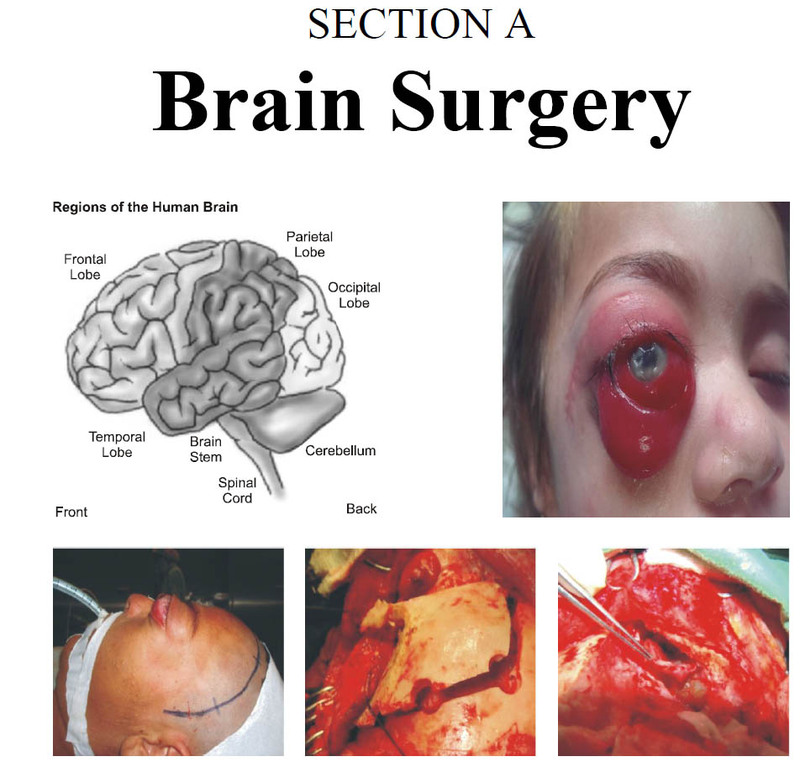 MartaMaschio: Brain Tumor-Related Epilepsy. Current Neuropharmacol. 2012 Jun; 10 (2): 124–133. 19. Rossetti AO, Stupp R. Epilepsy in brain tumor patients. Curr. Opin. Neurol. 2010; 23: 603–609. 20. Rossetti AO, Stupp R. Epilepsy in brain tumor patients. Curr. Opin. Neurol. 2010: 603–609. 21. Murthy JM, Prabhakar S. Bacterial meningitis and epilepsy. Epilepsia. 2008 Aug; 49 Suppl. 6: 8-12. All rights reserved, Pakistan Society of Neurosurgeons @ 2018.